Have you been injured in a truck accident? Our clients come first! Free consultation! Have you been injured in a truck accident? Are you now facing medical bills, lost wages, disability, or other issues as a result? If you were a passenger or driver in an accident involving a large truck or commercial vehicle, you need an experienced Phoenix truck accident lawyer today. Feel Confident. The Kelly Law Team has successfully helped hundreds of people just like you get the compensation for their truck accident injury case that they deserve. We have the knowledge and the experience to help you get what you are entitled to. Get Answers. The legal and insurance systems are confusing and intimidating. We have the experience and knowledge to guide you through this difficult time and to help you get the maximum compensation you are entitled to. Save Time and Stress. We know you have already lost time because of your truck accident injury. We believe that your time is important and valuable; we will work hard to get results for your case quickly. Let us take it from here. Get Personal Attention. You are important to us and we show it. 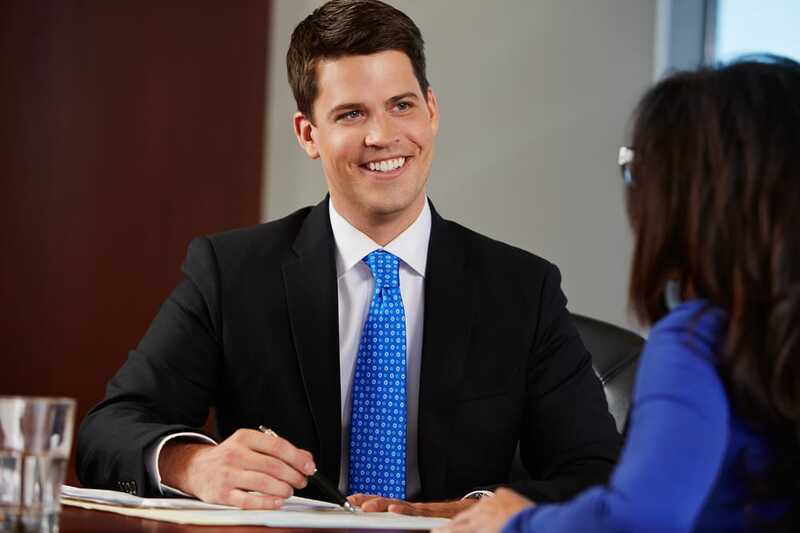 Meet one-on-one for your initial consultation with John Kelly, the founding attorney of The Kelly Law Team. Be confident knowing that you have his personal attention to your case every step of the way. Feel Good.The Kelly Law Team is active in the Phoenix community, various Phoenix charity organizations, and we host our own annual scholarships. Through your business, we are able to directly give back to those in need in our local community. John Kelly is a veteran trial lawyer who has helped many accident victims navigate the difficult legal system and get the compensation they deserve. During your free, no obligation consultation concerning your truck accident injury case, Mr. Kelly will give you an honest appraisal of your case, explain things so that they are easy to understand, and develop an intelligent strategy to ensure that you receive the compensation you are entitled to. John Kelly is an attorney who has earned a reputation for putting the interests of his clients first; you will not be charged any fee unless and until your case results in a recovery. Get your free truck accident injury legal consultation and compensation estimate today. Pick up the phone and give us a call at 602-283-4122 or click the button below. Most people think that vehicle accidents that take place on the road or highway are essentially the same whether they involve a motorcycle, car(s), or an 18-wheeler. This is NOT the case. The entire nature of the accident is different when commercial vehicles are involved in an accident. This is due to the incredible amount of damage trucks can inflict in on accident victims and their vehicles. Also, commercial or large truck drivers are subject to different rules and regulations than the average driver. Thousands of truck accidents occur each year in Arizona, resulting in thousands of injuries and causing untold levels of physical and emotional damage. Blind spots increase with vehicle size, therefore, increasing the likelihood of an accident. Drivers fail to account for hazardous weather conditions and the limitations they place on their trucks; truck braking and control is more affected by weather than standard vehicle braking and control. Example 2: Equipment Failure. Federal Law requires truck drivers to properly maintain their vehicles and equipment, but many drivers or managing companies ignore these regulations. Trucking companies have an obligation to the public, including you, to make sure that their drivers are properly trained and licensed. Their failure to do so can establish negligence and liability. Were the rules and regulations followed?There are a host of Arizona and federal regulations that govern the operation of large trucks. Finding the applicable regulations and discovering a violation can often mean the difference when establishing liability on the part of the driver and/or company. For example, the Federal Motor Carrier Safety Administration (FMCSA) has strict guidelines that determine how long truckers may stay behind the wheel. Your injury may be a direct result of the driver’s failure to adhere to these rules or others. Lawyer Investigation:Proving a violation of the FMCSA’s hours of service rules may involve an examination not only of gas and toll receipts (to show at what times the rig was present at a particular location) but also cell phone records, logs, bills of lading showing the times and locations of the pick-up and drop-off of truck loads, accident reports, on-board systems with GPS capabilities, alcohol and drugs tests, and other data. This requires investigation by a knowledgeable attorney who knows what to look for and where to look for it. Finding the accountable party:Others could be at fault! It is not unusual for accidents to occur because of the manner in which the truck’s cargo was placed and secured in/on the truck. Overloading an 18-wheeler or other commercial vehicle can cause it to overturn or be operated in an unsafe manner. It is possible for a truck driver to have driven perfectly safely and yet still cause an accident because of cargo issues. Negligence in loading cargo can support a verdict of liability against others besides the driver and his company. The sooner you consult with an experienced Phoenix truck accident attorney the better. Evidence needed to build your case is more likely to be available soon after the accident. Witness statements should be taken while the facts and circumstances are still fresh in their minds and there are times when the attorney must demand a preservation of evidence to protect your claim. Fatalities are more common, and injuries are often more serious in accidents involving large commercial trucks. The stakes are generally higher with the insurance claims and the lawsuits that result from a truck accident. Unlike passenger vehicles, commercial trucking is under strict federal regulation. Additionally, several different parties may be liable for injuries in large truck accidents, while in passenger car accidents usually only the driver at fault for the accident is liable. Truck accident injury cases are typically paid for based on a contingency fee. You pay nothing up front and if your case settles, the attorney is paid a percentage of your settlement. For your free case evaluation, call us now at 602-283-4122 or click the button above. Get an experienced and effective Phoenix truck accident attorney on your side and get the compensation you are entitled to. Call us at 602-283-4122, or click the button above and get started today!